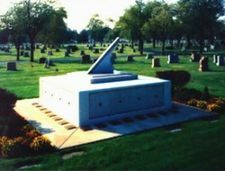 A unique feature within the Buffalo Cemetery for those cremation families looking for a non traditional setting for the memorializtion of a loved one. Granite Front Niches within the feature are available at $1100 each. 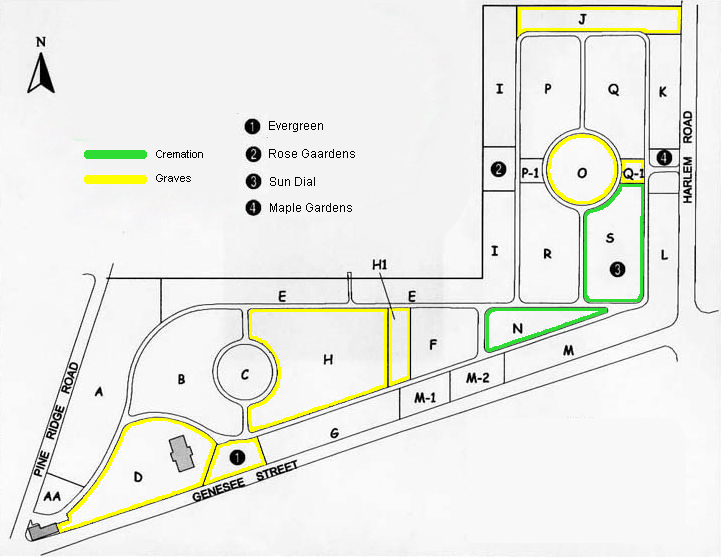 There are graves available throughout the Buffalo Cemetery. Upright monuments and flat marker graves can be found in many of the sections. 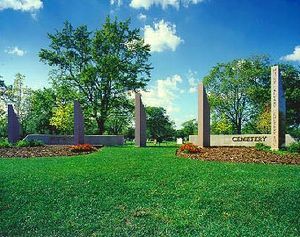 This featured site within the Buffalo Cemetery was created to honor those who have served our country. Today’s cremation orientated Veteran families now have a final resting place reflective of the honor bestowed them. Williamsburg Bronze Niches surround the colors of our nation providing a serene setting. 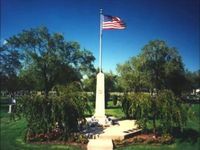 If memorializing your loved one within a Veteran themed feature is important to you and your family the War Veterans Memorial is the right decision. Bronze Niches within this feature are available at $800 each. 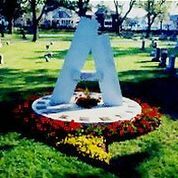 A cremation garden feature bursting with colorful flowers provide the cremation family a truly beautiful place to celebrate the life of a loved one. This bronze niche feature within the Buffalo Cemetery provides a tranquil and peaceful setting. Cremation Niches within this feature are available at $1000 each.